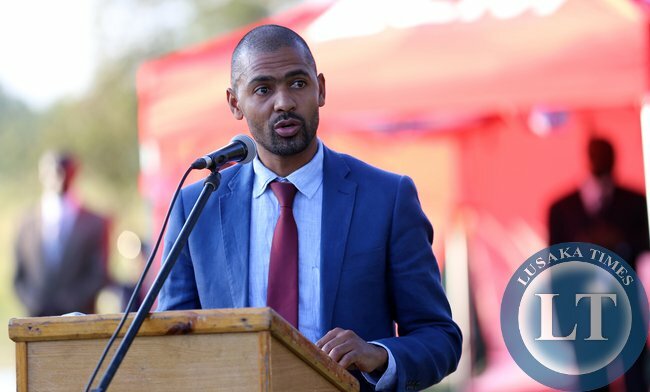 GOVERNMENT has raised councillors’ allowances from K700 to K3,000, Minister of Local Government Vincent Mwale has announced. Mr Mwale told Parliament in a ministerial statement yesterday that the adjustment will be effected after publication of a statutory instrument (SI). He said the SI has been submitted to the Ministry of Justice for clearance. “I urge all councillors across the country to remain calm and steadfast so that they are in a better position to discharge their responsibilities in their respective wards,” he said. Mr Mwale said the decision will enable councillors to discharge their civic duties efficiently and effectively. He also told the House that he was advised by the Attorney General that councillors are entitled to be paid fees and allowances approved by the minister in tandem with the Local Government Act until the Emoluments Commission is operationalised. Mr Mwale, however, said the Emoluments Commission has not been operationalized. He said the commission will be responsible for approving councillors’ emoluments once operationalised. “Councillors across the country contend that because they are elected by registered voters within districts as the case is for mayors and council chairpersons, they should be [on] full-time [basis] and get a salary,” said Mr Mwale. He said councillors also contend that Articles 264 and 265 of the Constitution imply that elected councillors, like public officers such as judges, should be paid a salary and not an allowance. And responding to questions by members of Parliament, Mr Mwale said the K3,000 is across the board. And PF Roan MP Chishimba Kambwili wondered why councillors will be paid K3,000 when mayors are getting around K19,000. Mr Mwale said councillors are part-time and allowed to be in full-time employment while mayors operate on full-time basis as civic leaders. He said the Ministry of Finance will provide funding for the councillors accordingly. So tax payers are going to take the brunt of this. It was embarrassing for President daughter Tasila to receive 700pin, at least 3million better. PF is well determined to run this country down…For a moment i thought i had heard Edgar Lungu talking about austerity measures. But now from the look of things, i am being punished as a private employee via PAYE to carter for politician’s needs. austerity measures pali K3,000.00? What can one buy from a K700.00. Even K3,000.00 is not enough. Talk of school fees, housing, transport, bills etc. Councillors are part time elected functionaries with the council the serve as Mr Mwale explains. They can have full time jobs elsewhere. The K3, 000 is supposedly what is known as “sitting allowance” for the meetings they attend and not a salary. I do not understand Kambwili’s argument. The sad thing is that these allowances need not have been paid by the central government but by the civic jurisdictions these councillors serve! How many councillors do we have countrywide? And what will they be doing everyday as full time employees. Government is getting it wrong here. It is a cost we do not need to bear. This is Huge expenditure. Assume that there are 4,500 councillors inthe country and now each getting K3000 per month. This will translate to K162,000,000.00 . In this instance what was provided for in the budget is K37,800,000. The budget deficit from this will be K124,200,000.00. Painful reality is that there are no drugs , No linen , No furniture and in most cases old or broken down equipment in hospitals .Instead of addressing these concerns we are financing politicians. Our public schools are in dire need of resources , but No we are financing Politicians. Our Cities and Towns are Dirty and need clean up , but No we are Financing Politicians. Our Public sector Pensioners are barely surviving and need an upward adjustment, but No we are financing Politicians. Zmw3,000.00 is still peanuts today! Really worrying for sure. It’s like politics is a means of survival in Zambia and not service. Really sad. As outlined the cost will be huge for this unbudgeted expenditure at the expense of the so many sectors in need of service delivery. The sad part in Zambia, when it comes to money or allowances there is no opposition everyone is in agreement then later they turn around to condemn the budget deficits created. There we go again _ Chipantepante in Action. We are throwing good money after bad! These councillors have no clue on what is best for Zambians. They are as lazy as their masters in the Chimbwi No Plan party! if this increment was budgeted for , then let it be. However, the big ask is does the revenue envelope sufficient to cater for such expenditures. Truly, the economic decisions has domino effect on other sectors……. Chipantepante game at play. One mouth is saying inflation rate is at 6.8% but salaries, allowances, emoluments for councilors are being increased by 328.6%. What a contradiction for people like councilors who don’t even have a job description. There are more people on Council payroll, but these councils are even failing to collect revenue from marketeers, parking fees unless the subcontract Park Rite Zambia. What is the point of paying salaries and subcontracting third parties for the same work at the same time? This will just be swallowed by fuel for driving from Kapoto to the Civic Center. The point is being a councilor is NOT a full time job,its voluntary work for the ward. That is why you can keep your day job and still be a councilor.Maybe it should be a requirement that for someone to stand as a councilor, he/she must have a day job or have a meaningfull business to support oneself? The problem we have is that people are going into politics for enrichment and not for service. This trend must be haunted and the only way to do that is to refuse such increments and put it on record clearly that a councilor is a volunteer and an employee. MPs also must not be enjoying luxuries at the expense of medicines and equipment in hospitals, education materials etc. Politicians must serve the people not enrich themselves. **…..volunteer and NOT an employee. They should say K13,000 AND not K3,000.This is mockery if you consider PAYE ( pay as u earn). Stop exposing your ignorance in public. Do you even know what PAYE is? Really shocking that a voluntary service is now a job. The idea was to have individuals with the ability to volunteer time to perform these duties. Some people with day jobs are getting the same money for putting in 8 hours a day. What do councillors do every day? Tax payers are truly taken for granted in this country. Mashamba I agree with you. Look at the small number of people working who are being ripped off through PAYE and the road toll gate fees. It’s heartless for these people to rip us all like this. Political power should not be a business. Let them creat more jobs and then do what the heck they want. The money was not budgeted for, is Lungu and Mutati going to s.h.it this addition funds for the more than 6,000 councilors? bafecolor ba pf mulibwa sana musula shenu bakolwe. You are everyday subjecting us to harsh living conditions matole yenu, and i mean bonse! The money wasted on these councillors could be used to support small business development or farmers so the government could generate more income through taxation, but these f00ls in PF have no idea, just spend the money we don’t even have. Cut ministers freebies and reinvest money in agricultural mostly and watch the economy take off, but Lungu and his corrupt minions are greedy and just wants to continue looting from the already broke Country. Comment:councillors are just like the mp,c/man and mayor because they stand on the same qualification and ballot papers for councillors were printed in Dubai,same day of election. where is the difference.where is voluntary to make the matter worse councillors are very close to the electorate.